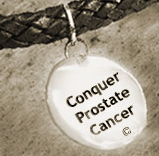 Conquer Prostate Cancer Now: PSA and the American Cancer Society - Is this the Way to Go? PSA and the American Cancer Society - Is this the Way to Go? Prostate Cancer screening has NOT been overtly encouraged by the American Cancer Society for the past 15 years. Now the American Cancer Society has gone even further by asking patients and doctors to consider the danger of screening, since it implicitly claims such testing can easily lead to over-treatment. In effect the ACS has tipped its hand by further distancing itself from routine annual PSA blood tests that can result in false negatives or positives and unnecessary treatment. It's reasoning no doubt is that this may be bad for your physical and emotional health. This leading national organization has also urged men to avoid the DRE - the digital rectal exam, implying that the DRE's accuracy is questionable, or that it may get men to jump to the wrong conclusion that a biopsy and subsequent action must be taken. Some of my previous blog posts anticipated this change in the American Cancer Society's policy. In my view this development is unwelcome since it essentially asks men to routinely ignore the possibility that they may have prostate cancer. This is not to say that the ACS encourages men to avoid screening when they already appear to suffer from symptoms of this disease. And the Society is no doubt well-intentioned in its desire to prevent unnecessary treatment and side effects like ED or incontinence. I also don't deny the statistical fact that most men who get prostate cancer will not die from it but with it. For all that, it seems to me that the American Cancer Society has taken the wrong tack. It's asking you or people you know and love to stick your heads in the sand. How? By not taking the first step needed to determine how healthy your prostate may be. I would love to hear your views about this policy change regarding annual routine prostate cancer screening. Sure we can agree that we need to calmly evaluate the risks and benefits of each treatment modality as the new policy statement also urges. And we need to more carefully consider the place of the treatment option known as Active Surveillance (watchful waiting). But isn't this new policy statement short-sighted? Please feel free to express your feelings about the American Cancer Society's position. Does it make sense to you? Is there any better way than the PSA and DRE to begin exploring what should be done on a case by case basis? I hope you'll use the space below to share your thoughts.